Our presentation sound systems are designed to distribute sound throughout the room. For larger rooms we use Fohhn Linea speaker systems which give extraordinary clarity over a wide dispersion area. For large halls we utilise Turbosound active speakers to support the main system, correctly time aligned to maintain clarity. We can also provide wireless microphone systems by Sennheiser and Audio Technica with handheld, headset or lapel microphones. 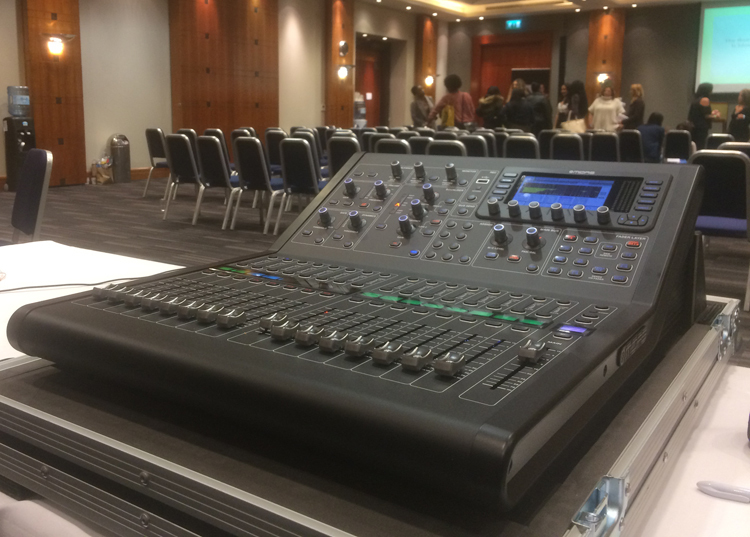 We urilise Soundcraft analogue or Midas digital mixers, which will accept input from any media device – laptop, tablet, phone or media player. To discuss your sound system requirements without obligation call our friendly events team today. Our projectors and screens provide bright images for any environment. Our short throw projectors will fill a 100″ screen from just one metre eliminated the risk of unsightly shadows on the screen. With HDMI.VGA & composite inputs, any device can be connected. We have several screen sizes for small to large presentations. Uplighters can make your presentation that extra bit special. 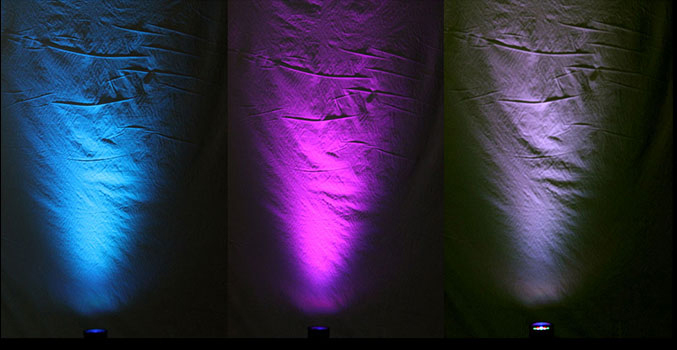 Whether highlighting features or as an atmospheric effect, uplighters will enhance any stage setting.